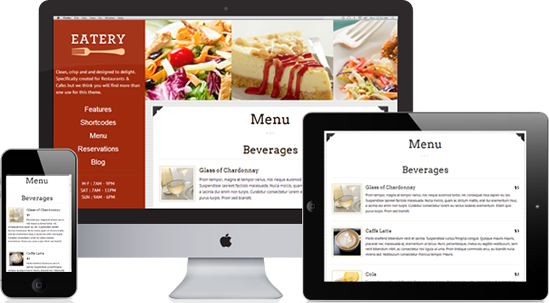 In reality, many restaurants attempt to manage their online reputation themselves, but you would be able to realize only a fraction of the success enjoyed in partnership with Restaurant Reputations. The real value we offer is through our approach—Monitor, Manage and Build—which incorporates our full-service reputation account management by trained restaurant and reputation specialists. We tackle every aspect of the hard work and most restaurant’ don’t have this time. Why? Because they are busy doing what they do best! From hand typing custom online review responses, sending out feedback requests, social media support to monitoring, alerts, damage control and restaurant listing upkeep, we do it all, and we are really good at it! Our full-service package is far more affordable than hiring someone in-house to do it and far superior to doing it yourself. These numbers are staggering. We suggest using a dedicated and experienced firm to handle all your reputation management needs! We have an SEO company that says they can do our Reputation Management. Why do I need you? We can appreciate other vendors attempting to help facilitate your business’s needs, and SEO is part of a solid reputation management strategy, but Internet reputation management is a particularly specialized practice that requires deeper insight than making your website rank on search engines for keywords and selecting AdWords. Our service has taken many years to develop and involves high levels of training. We understand that if a reputation management campaign is not executed properly more harm can come and cause permanent damage to a restaurant. An example would be a shady SEO team trying to employ a fake paid restaurant review strategy that has disastrous repercussions. Our solutions are not only reputation centric but were also created specifically for the restaurant industry, so we believe our solution is the best full-service reputation management solution currently on the food services market. 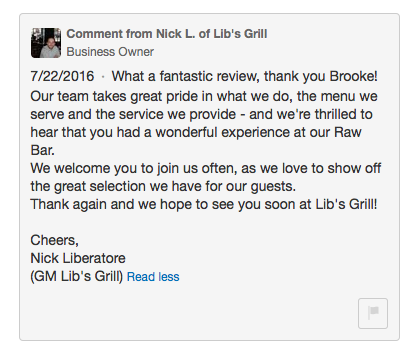 How do you help our restaurant get new reviews and where do the reviews go? How do you stop bad reviews? 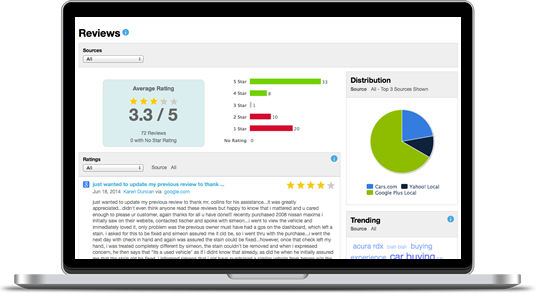 We use the power of our custom-built Review Portal that allows your customers to easily leave positive online reviews for you while also allowing you to catch bad reviews before they hit the review sites. The platform can be implemented by email and/or a dedicated website. The platform is easy to use. 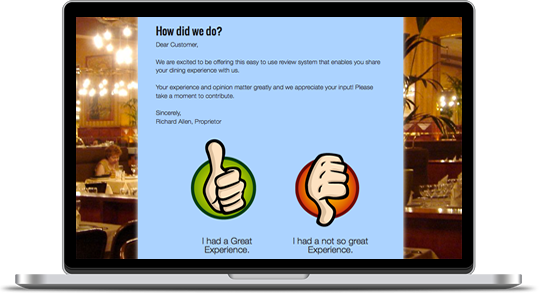 It simply asks the customer if they were happy with your restaurant; if so, they just click the big “thumbs up” button (which indicates their content), which then directs them to your exact review pages that we pre-fill on your behalf. They don’t have to go to the review site themselves, search for your business, and get lost. 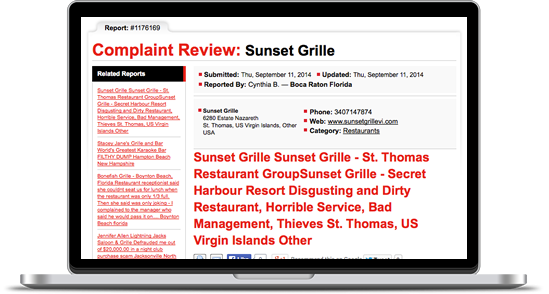 As an example…if your restaurant has unfair reviews that need to be buried on Yelp.com , then Yelp will only show on your customer review portal as an option to leave the positive review on. How do my customers find out about the Customer Service Platform? We ask them! We found that asking your customers to review you is the best way to improve your online reputation and the only truly ethical way as well! Many competing reputation companies and also shady SEO firms will employ a fake review tactic that has disastrous results. We use a short and simple template to request feedback from your best customers. 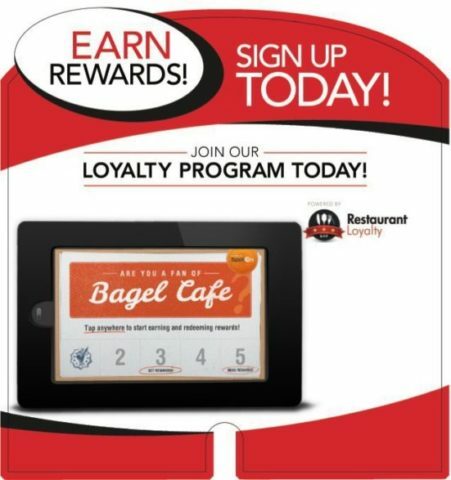 We can ask them through email, phone, or by way of our restaurant kiosk system. Some of our Restaurant clients also place a postcard with the review portal inside the customers bills upon their exit of the restaurant. Dear Jane, I hope your recent visit to Viola Pizza exceeded your expectations. We would really like to know how you felt about your experience with us. Feedback from online reviews is very useful, as it helps us to keep improving and is also helpful to customers that are considering us. Would you mind taking a moment to review us online? Please click here to be taken to our easy-to-use review portal. Can we review the Reputation Dashboard? Absolutely! 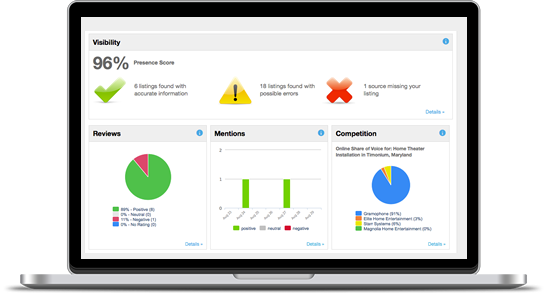 We are so proud of the metrics the Reputation Dashboard provides that we encourage you to review it often not only to see the health of your restaurant but also to see how we are improving your online reputation. Is there a contract, cancellation, termination or setup fee? There are no contracts and no cancellation, setup, or termination fees . . . ever. Our businesses are on a month-to-month subscription basis. To stop service, you simply email or call our customer service department 24 hours before your renewal due date. We believe in our product, and our clients see its value. We consider ourselves a partner and advocate for the success of your restaurant. The charge that will appear on your statement will say ‘Platinum Internet Enterprises‘. Do you completely remove negative reviews, comments, ratings, and websites about our business? In some very rare cases, yes we do. We work very closely with a legal team that has helped restaurant owners in the past, but this happens only rarely. To combat negative reviews and ratings, we utilize our Review Portal, which helps suppress old, outdated negative reviews while boosting positive reviews and rating score. 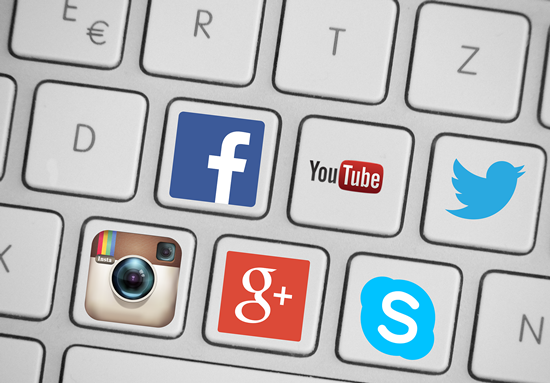 To combat negative search engine listings, malicious blogs, and rip-off reports, we use Internet suppression, using positive Internet content about your business to push down negative content. Whether you need assistance with reviews and ratings or have a damage control issue, we can help you. Does RestaurantReputations.com use ethical tactics? We pride ourselves in knowing that our services are 100 percent ethical, and we constantly follow the rules from such sites as Google, ratings and review sites, and even the FTC. One of the most important rules that organizations need to follow is to clearly state when they are using a paid testimonial for advertising/review purposes. We care about the integrity of our industry and the restaurant we represent. Restaurant Reputations is located in Cockeysville, Maryland. We are a 100% US-based company. Your review responses, social posting, and account management will take place right from our office here in MD. We do not offshore or outsource ANY of our work. We are proud to be a US based company and you will be too!